I enjoy helping clients work through the nuances of policies and procedures, and how those nuances effect their business operations. I think of compliance as a day-to-day mindset that should feel real and relevant to our clients. 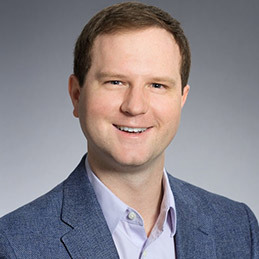 McCulloch joined Potomac River Partners in 2018. He supports auditing and monitoring activities, developing policies and procedures, and compliance training. He also provides assistance with data visualization and dashboard development. Before joining Potomac, McCulloch worked as a Research Consultant at the Lewin Group in Falls Church, VA. While at Lewin, he worked on program evaluation, learning and diffusion, and data analysis projects for public and private healthcare payers. McCulloch has a Bachelor of Arts from the University in Virginia in Cognitive Science with a minor in Economics. When he’s not working, McCulloch enjoys going and hikes and exploring local parks with his dog, traveling, and exploring the DC restaurant scene. From start-ups to multinational corporations, I enjoy helping clients implement solutions to meet their individual business needs. Pat joined Potomac River Partners in 2018. He brings with him an extensive background and expertise in U.S. and global transparency reporting. Pat primarily supports Potomac’s aggregate spend and transparency clients, in areas such as: Sunshine Act data review and remediation, performing transparency program assessments, creating and updating SOPs, systems implementation and support, and data analysis and visualization. He also has board experience in implementing and modifying systems to meet transparency requirements, as well as deep knowledge of preparing general and research data for Open Payments submissions. Prior to joining Potomac, Pat worked as a Global Transparency Analyst at Smith & Nephew. There Pat provided oversight and helped develop Smith & Nephew’s global transparency reporting program, working directly with Compliance and business leadership. Pat has a BSBA in Finance from Stonehill College in Easton, MA. A native of the Boston-area, Pat enjoys long distance running, road cycling, and exploring DC. I am driven by finding better, smarter ways to do things. Helping clients from global pharma companies to small biotechs solve complex problems is the best part of what I do. Jon has been consulting on compliance within the life sciences sector since 2002. A recognized pioneer in Aggregate Spend, Jon led the implementation of a top 5 global pharmaceutical firm’s first aggregate spend system. He advises Chief Compliance Officers, legal counsel and senior executives on a range of complex compliance issues such as Corporate Integrity Agreements and government sanctions, investigations, product launch preparation, risk assessments, operational policies/procedures development and Aggregate Spend and State Reporting. Jon is an established compliance expert who has published articles in Rx Compliance Report, Pharmaceutical Executive, Life Science Compliance Update, and Compliance Today. He serves as a frequent speaker and moderator at industry conferences on a range of compliance issues. He has also served as faculty for the Seton Hall School of Law Healthcare Compliance Certificate Program. Prior to launching Potomac, Jon worked as a Senior Manager at Polaris Management Partners where he established expertise in Aggregate Spend. Previously he was a Strategy Consultant for Accenture. 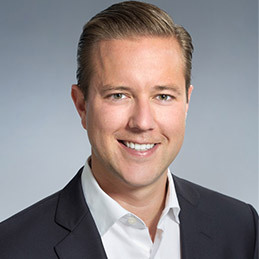 Jon has an MBA in Finance and Entrepreneurship from the University of Chicago and a Bachelor of Arts in Economics from Cornell University. Jon enjoys spending time with his family, keeping up with his fantasy baseball team (an excuse to watch as much baseball as possible) and doing puzzles. He is passionate about volunteering with Experience Camps, a non-profit that provides a summer camp experience to young people experiencing the loss of a loved one. I am driven by the opportunity to help our clients mitigate risk and improve their compliance program. Potomac’s “real-world” perspective is so valuable; it informs what we do and brings our work to life. Carla-Marie joined Potomac River Partners in 2016. Carla-Marie has a comprehensive compliance background, with expertise in pharmaceutical compliance documentation, live and web-based training, and auditing and monitoring. 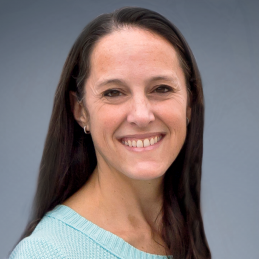 She has helped clients develop policies and procedures, conduct risk assessments, develop and execute mitigation plans, and implement company-wide training. Notably, Carla-Marie also has experience delivering Independent Review Organization (IRO), pre-IRO, mock-IRO and CIA implementation services, and evaluating the sufficiency of internal systems and policies. Carla-Marie's "Finding The Golden Nuggets – OIG-HCCA Recommendations For Smaller Life Science Companies" was recently published in Life Science Compliance Update. Prior to joining Potomac, Carla-Marie worked as a Manager at Provident Management Consulting, and previously at Huron Consulting Group. Carla-Marie has an impressive background, complete with a Juris Doctorate (JD), M.B.A. in Finance, and a Bachelor of Business Administration in Computer Information Systems from Howard University in Washington D.C. In her spare time, Carla-Marie enjoys travel and photography. She is very dedicated to her family and works with them exploring her passion for early childhood education. Compliance is more than setting rules and developing processes. Successful compliance professionals manage risk while working with business partners to achieve positive outcomes for the organization as a whole. Adam joined Potomac River Partners in 2011. 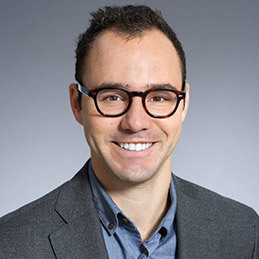 Adam possesses a comprehensive compliance background and has managed a range of projects, including the creation of documentation frameworks, the development of policies and procedures (SOPs), the revision of compliance manuals, and the performance of gap analyses. Adam also brings expertise to producing a broad spectrum of training courses and providing auditing services, which includes advising on corrective and preventative actions (CAPA). Additionally, Adam established the T&E monitoring protocol for a contract sales organization. Prior to joining Potomac, Adam worked on the Communications & Compliance team at Flagstar Bancorp. At Flagstar, he worked with their third-party lending team to ensure communication and application of government lending requirements. He also graduated from the Flagstar Management Development Program where he received comprehensive experience throughout various Flagstar functional groups. Adam received a Bachelor of Arts in Economics from the University of Michigan. In his personal time, Adam likes to travel, cook, fish, and root for the University of Michigan sports. Performing complex data analysis is like solving a big puzzle. I help clients understand the story behind their data. 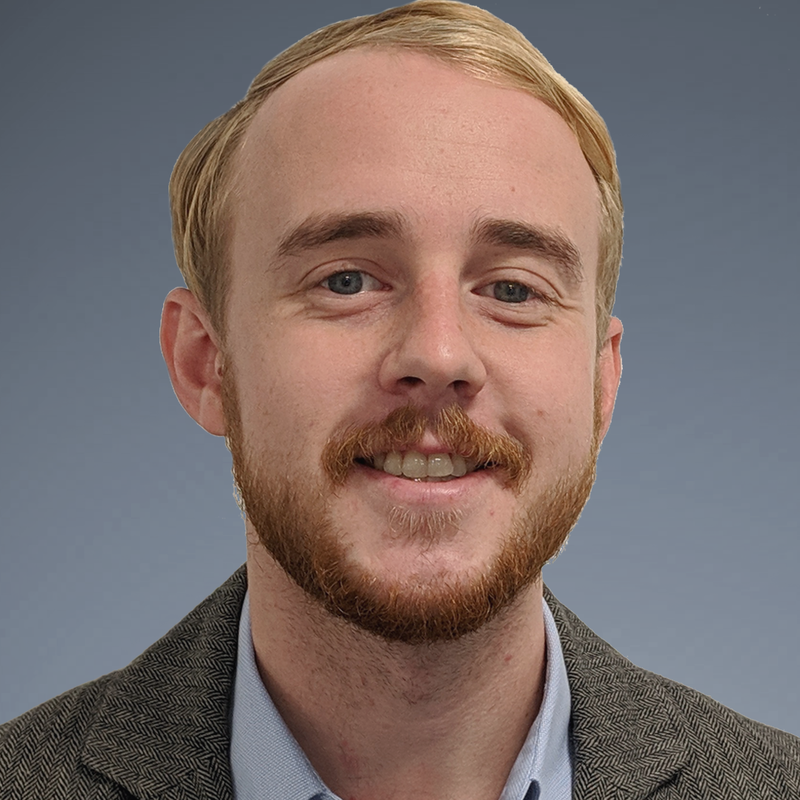 Chris joined Potomac River Partners in 2015 and primarily focuses on projects related to analyzing and drafting written policies and procedures (SOPs), conducting compliance gap assessments, and performing data analysis. Recently, Chris worked on a global risk assessment for a pharmaceutical company for which he assisted in developing the survey and analysis model. Chris also performed a high-level gap analysis on written documentation at a large pharmaceutical company and subsequently drafted policies and procedures on numerous compliance topics based on the recommendations in the analysis. He has also created compliance dashboards on a number of topics to provide insights into large data sets. Chris presented at CBI Compliance Congress West 2017 on Speaker Programs: A Holistic Approach to Managing Risk. Prior to joining Potomac, Chris worked as a Strategy and Finance Intern for TransRe in New York, NY. Chris has a Bachelor of Arts in Public Policy Studies from Duke University. Chris takes every opportunity to explore DC, spend time with friends, and frequent sporting events. He enjoys cheering for the Miami Dolphins, Miami Heat, and Duke Blue Devils. One of the most effective ways to ensure compliance is experiencing a day with your colleagues in the field. I’ve attended hundreds of speaker programs and conducted a multitude of ride-alongs; each opportunity provides valuable information to our clients on how to improve their compliance programs and tackle important concerns in the field. Dan joined Potomac River Partners in 2008. Dan possesses a wealth of compliance knowledge and provides expertise in pharmaceutical compliance documentation, customized training, and auditing & monitoring. Additionally, Dan has led numerous engagements of developing policies and procedures, conducting live and retrospective audits, and providing a wide range of compliance services to companies operating under Corporate Integrity Agreements. 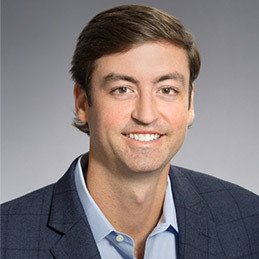 Prior to joining Potomac, Dan worked as a Consultant at Schering-Plough and Wyeth, Hoffmann-LaRoche, and Genzyme Biosurgery. Notably, Dan has been working in the Pharmaceutical industry since 1998 and has experience in a wide range of concentrations including Training, Auditing, Regulatory Affairs, Quality Assurance, Research & Development, Production, and Pharmacovigilance. Dan has a Bachelor of Science in Biology from Seton Hall University in South Orange, New Jersey. When Dan isn’t working you can usually find him spending time with his dog or watching the NY Mets and Jets. Dan also enjoys participating in challenging obstacle races and volunteering time working with animal rescues in the NYC area. Potomac's size and scope offer unique opportunities to work on challenging projects across different service lines for clients ranging from small, pre-commercial companies to the top players in the market. Eric joined Potomac River Partners in 2017. He is focused on documentation projects and the development of training solutions. Recently, Eric recently assisted in the authorship and production of a comprehensive compliance policy guide, which incorporated more than a dozen relevant topics for non-sales professionals, for a Top 5 global pharmaceutical company. He also helps to develop a variety of training modules, from “Communications with Healthcare Professionals” to “Compliance with Federal Laws and Codes.” Eric's "Finding The Golden Nuggets – OIG-HCCA Recommendations For Smaller Life Science Companies" was recently published in Life Science Compliance Update. Prior to joining Potomac, Eric worked as an Analyst at J.P. Morgan Chase & Co. in Columbus, OH. Eric has a Bachelor of Arts in International Studies from American University in Washington D.C. In his spare time, Eric enjoys cooking (and eating), cycling, playing tennis, skiing, making music, and exploring DC when the weather is nice. He is also a huge sports fan and roots for F.C. Barcelona and the Cleveland Cavaliers. Pat joined Potomac River Partners in 2018. He brings with him an extensive background and expertise in U.S. and global transparency reporting. Pat primarily supports Potomac’s aggregate spend and transparency clients, in areas such as: Sunshine Act data review and remediation, performing transparency program assessments, creating and updating SOPs, systems implementation and support, and data analysis and visualization. He also has broad experience in implementing and modifying systems to meet transparency requirements, as well as deep knowledge of preparing general and research data for Open Payments submissions. Graham joined Potomac River Partners in 2013. He possesses a comprehensive compliance background and brings invaluable expertise to our transparency, training, and monitoring services. Graham has conducted numerous data integrity analyses for our clients, and recently, focused on assisting clients with the implementation transparency systems and with Sunshine Act data submission requirements. He has considerable experience with Open Payments submission support, error remediation, customer master clean-up, and development and implementation of sub-certification processes. Additionally, Graham lead the development of the Open Payments Highlights Infographic and frequently delivers customized analyses and data summaries to clients. Prior to joining Potomac, Graham worked as a Business Development intern at Corner Stone Healthcare in Highpoint, NC. Graham has a Bachelor of Arts in Economics from Wake Forest University in Winston-Salem, NC. In his spare time, Graham enjoys traveling with his family, playing golf, fishing, hiking, and rooting for the Demon Deacons. Can your transparency program endure an internal audit? I enjoy helping our clients turn state and federal reporting obligations into programs that can pass further scrutiny. Michael joined Potomac River Partners in 2009. Michael provides a wide range of compliance services, primarily focused on aggregate spend and transparency initiatives. His vast experience in this area includes performing gap analyses; developing roadmaps, document requirements, and business positions; authoring employee and physician trainings and communications; and conducting data integrity audits to prepare clients for data submission. Recently, Michael has helped clients to manage upgrades and/or migration to new vendors, which involves full program assessments, test planning, and establishment of complete and proper documentation for potential future audits. Michael also brings an impressive amount of experience in creating compliance policies and procedures, conducting speaker program monitoring, developing content for various training courses, and crafting presentations for industry conferences. 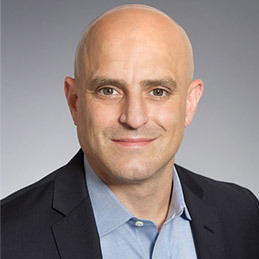 Prior to joining Potomac, Michael worked as a Consultant at Ernst & Young in their Health Sciences Advisory Services practice. There, he provided on-site support to successful projects dealing with cash acceleration and revenue recovery as well as patient access re-design. Michael has a Bachelor of Arts in Economics from the University of Michigan. In his spare time, Michael fly-fishes, frequents nature trails with his dog Maurice and cheers for the Tennessee Titans, his hometown football team. Michael recently became involved in a local student mentorship program and also loves to travel. The opportunity to work on engaging projects across all of our service lines makes each day exciting. Shannon joined Potomac River Partners in 2015. She is focused on developing clear, engaging computer-based compliance training, pharmaceutical compliance documentation, and auditing & monitoring. She manages the creation of new modules within our RAPIDs training suite, and assists with company marketing, communications and business development. Shannon focuses on multiple documentation projects, including developing and revising policies and procedures (SOPs), drafting codes of conduct and policy highlights, and creating documentation roadmaps. 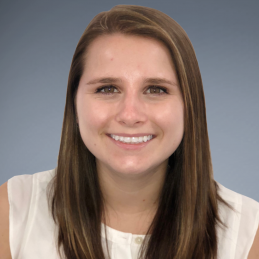 Prior to joining Potomac River Partners, Shannon worked as a Marketing Intern for Ingersoll Rand and as a Development Intern for Virginia Commonwealth University School of Allied Health. Shannon is currently a Master of Public Health student at George Mason University, concentrating her studies in public health practice and leadership management. Shannon received her BS in Business Marketing Management and a minor in Finance from Virginia Tech. You can find Shannon instructing workout classes or personal training at Next Phase Fitness in her spare time. She loves going on weekend adventures, spending time with family, and volunteering with Lucky Dog Animal Rescue! Infusing design into our work transforms information into understanding. I not only help clients differentiate, but also make their communications simple, beautiful, relevant, and easy to use. Meredith joined Potomac River Partners in 2008. Meredith brings expertise in communications strategy and graphic design and leads our messaging, branding, and creative projects and services. While at Potomac, she has created visually appealing communications for nearly every client, helped bring compliance training programs to life, developed unique designs for codes of conduct and various compliance policies, and launched an engaging “brand story” for one client’s aggregate spend and transparency initiative. Prior to joining Potomac, Meredith showcased her design talents in a variety of industries, including healthcare, hospitality, retail, education, and nonprofit, while also leveraging her strategy experience to build brands, craft marketing campaigns, define user experiences, and develop corporate collateral programs. 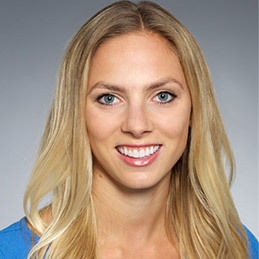 Meredith has an MBA in Marketing and Strategy from the University of Chicago and a Bachelor of Fine Arts in Graphic Design from the University of Michigan. In her spare time, Meredith enjoys travel, movies (good and bad), books (only good ones), quality family time, and unique dining adventures. Because Potomac works with a variety of life science companies, every day is an opportunity to learn something new! 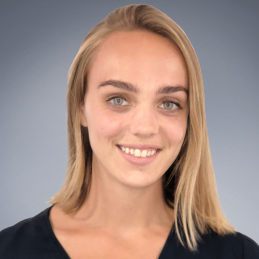 Catie joined the Potomac River Partners in 2018. She is primarily responsible for researching new developments in compliance as part of Potomac’s monthly compliance news summaries, providing auditing services, and creating compliance training courses for clients. She is also involved in developing policies and procedures and policy highlights. Catie graduated from the University of Virginia with a BA in both Biology and French. 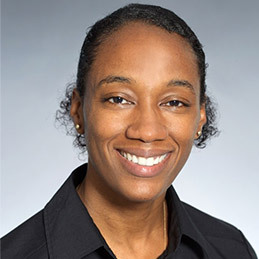 Prior to joining Potomac, she worked as an intern in the Clinical Operations department of PRA Health Sciences in Charlottesville, Virginia. In her free time Catie enjoys being outdoors, hiking, running, exploring DC, and spending time with family and friends. She also loves to travel and try new foods. Potomac provides the opportunity to work on a variety of projects, which allows me to learn a lot about the industry and makes each day interesting! 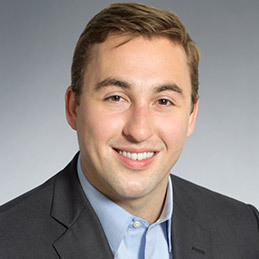 Riley joined Potomac River Partners in 2018. She primarily supports projects within the policies and procedures service line including policy highlights, manuals, and quick cards. Riley also works on creating compliance training courses and compliance news summaries. 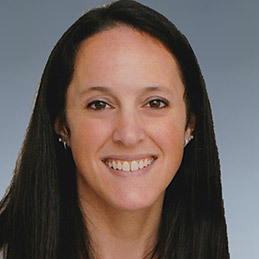 Prior to joining Potomac, Riley worked as a government affairs intern at the Children’s Hospital of Pittsburgh of UPMC. She also served as a research assistant for the Margolis Center for Health Policy, where she studied price transparency in healthcare. Riley graduated from Duke University with a BA in Public Policy. Riley likes to stay active in her spare time and enjoys rock climbing, running, hiking, and playing beach volleyball. She also likes going to concerts and music festivals. Potomac provides solutions for life science companies’ most complex problems. I attribute the firm’s success to the dedication and focus of our team members enabling us to deliver quality products to our clients. 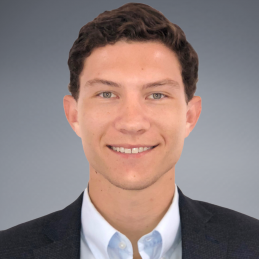 Christian joined Potomac River Partners in 2018. He supports the transparency and aggregate spend service line including research, documentation, and reporting. Additionally, Christian assists with our overall data analytics capabilities and dashboard creation. 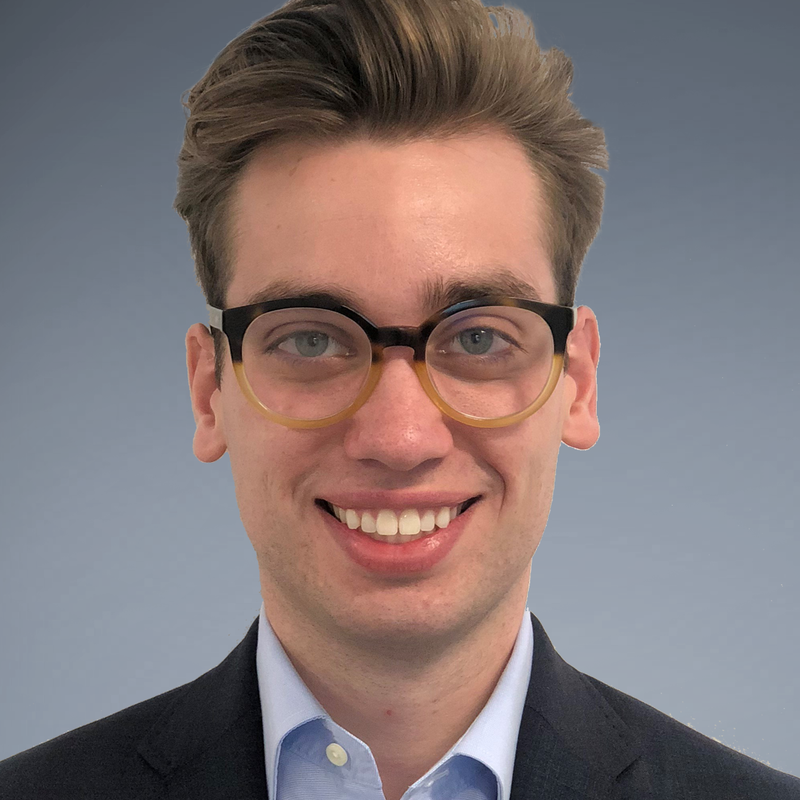 Prior to joining Potomac, Christian worked as a Performance Management intern at the Consumer Financial Protection Bureau in Washington, DC. Christian has a BS in Business Management from George Mason University in Fairfax, Virginia. In his spare time, Christian enjoys exploring new restaurants, listening to live music, and running in DC with his dog Millie. I believe that effective business operations are vital for any successful and sustainable business. 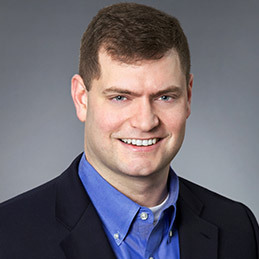 Darren joined Potomac River Partners in 2018. As the Operations Specialist, Darren ensures Potomac’s internal processes such as finance, technology, and general administration run smoothly. His efforts enable Potomac’s client-facing team to focus on delivering the best service possible. Prior to joining Potomac, Darren spent nine years in client-facing roles in the banking and financial services sector. This includes positions with Scotiabank Limited and the Royal Bank of Canada Limited overseas. 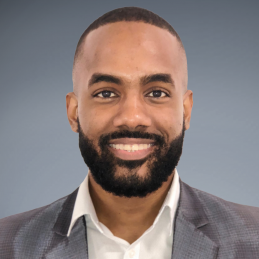 His background includes experience in business development, project strategy and implementation, client relationship management, and financial statement preparation. Darren has an MBA from Anglia Ruskin University (United Kingdom) and a BBA from the University of New Brunswick. In his spare time, Darren enjoys traveling, hiking, and spending time with his family.